Noting format=isodate-yearmonth allows date to be specified as 2018-12. But sometimes I would like to specify date as 2019-01-25. And I found a way around for today ). Is there some way around for \ganttmilestone, which will allow me i.e. to do 2019-03-25? Some kind of fall back mechanism would be nice. 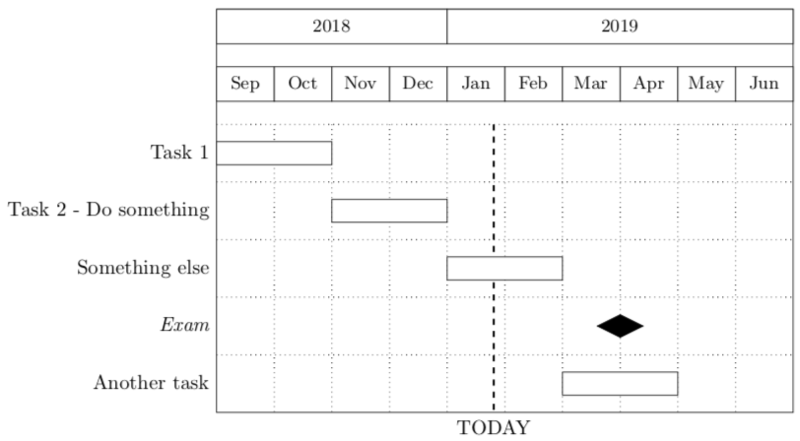 How to shorten Gantt chart?